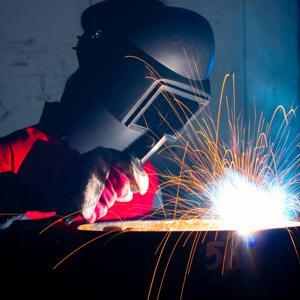 Manufacturing in the United States has undergone its fair share of trials and tribulations in the years since the Great Recession began in 2008. As a result, the recent surge in activity in the sector comes as welcome news for companies in the industry, not to mention the positive light it sheds on the direction of the economy at large. That growth, however, doesn't mean that manufacturers can simply put aside the best practices of cost reduction and spend management. It's important to bear in mind that despite the setbacks that befell the industry in 2008, a look at manufacturing over the past two decades reveals that the sector has been experiencing relatively steady development for some time. Shopfloor recently spotlighted the 20-year anniversary of the North American Free Trade Agreement and the growth that the U.S. manufacturing sector has seen since the pact's implementation. During the period of time for which NAFTA has been in place, the American manufactured goods market has gone from a $1.06 trillion to a $1.87 trillion per year industry, an expansion of 76 percent, the source reported. Furthermore, the revenue from U.S.-made products sold to NAFTA partners Canada and Mexico has tripled since the agreement was instated, making up 18 percent of the industry's total growth for the period. Because manufacturing has actually been expanding ever since NAFTA was implemented, companies should look at the recent improvements in the sector as signaling the beginning of a return to "business as usual" for the industry rather than as a cause for unchecked optimism about its growth. This somewhat conservative mindset may pay dividends in business cost reduction, as it will encourage firms to be cautious about their expenditures, remaining lean and agile in order to stay afloat in a still-tumultuous market. Trilogiq recently highlighted the various types of "muda" - an industry term for waste - that can occur in the manufacturing sector. One such source of waste is the loss of productivity that results from lack of access to the tools necessary to complete certain jobs. "When the operator no longer has the components required to carry out his/her tasks and their hands are idle - this muda is created. Supermarkets and a logistics system based on continuous flow and regular supplies help eliminate this muda," the source wrote. Strategic sourcing practices that help ensure raw materials and other resources are on hand when they're needed are key to preventing this and other types of waste.